For retailers, an organized and convenient returns program can mean higher customer-loyalty, increased efficiency and lower operational costs. For customers, it makes the shopping experience smooth and easy – a service they are wiling to pay more to have. 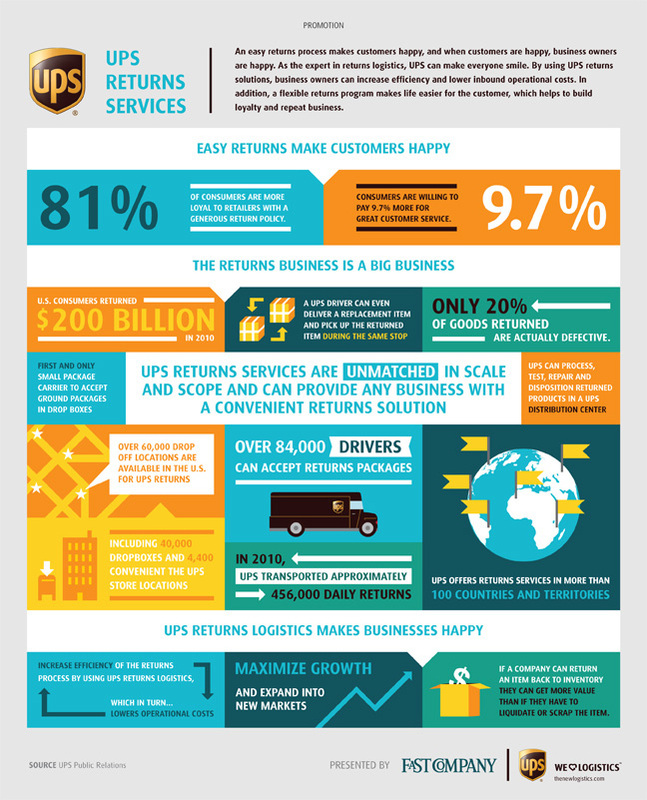 UPS provides a returns solution backed by a large network of numerous drop-off locations, drivers and organized logistics services that work together to keep businesses and customers happy.